Sarantos Releases A Cool New Music Video For Pop Summer Song "Above The Clouds"
Sarantos urges fans to enjoy this new summer pop music video and embrace the singular goal to get this song into the Top 25 on the DRT charts in the USA. 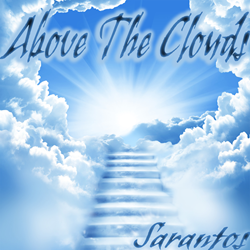 Sarantos Releases A Cool New Music Video For Pop Summer Song "Above The Clouds." Sarantos is in a summer mood. The response to his new summer pop song “Above the Clouds” has been overwhelming both in terms of fan response as well as reviews. The new music video should add to that enthusiasm as the story is simple yet Sarantos spends most of the video singing which is very uncharacteristic. Sarantos #1 goal in 2017 was to get this song to the Top 25 on the DRT charts in the United States. That goal seems like it might become a reality if fans continue to push the song. The lyric video has received over 85,000 views in 10 days which is by far the most of any lyric video Sarantos has ever released. Industry insiders have been anticipating this release and have uniformly touted this song as the “best he’s ever done!” Audiokite reviews by real fans which are used by both indie and pro musicians rated “Above The Clouds” in the 98th percentile. "This cool summer pop song music video was so much fun to make," says Sarantos. "As a young boy, I always wanted to be an airline pilot and fly up in the clouds so given the nature of this song, I just had to have me up there in a single propeller airplane flying up above the clouds. The story is still the focus but with aspirations to make this my top song in 2017, I added a bunch of musical scenes of me singing, guitar, drums and even backup female vocalists since that’s what the big placements want in their music videos. But there’s still a central theme and that is that no matter how bad a day you’re having, it’s always sunny above the clouds. There is always hope!"